Why Southbank’s Man Festival was too Feminist for a Man Like Me….. If you want to have a meaningful conversation about gender then the first thing to remember is the old adage “he who pays the piper calls the tune”. The saying reveals our sexist assumption that it is always a “he” who has the power and the money to pay the piper. In reality, this is rarely the case in the highly politicized world of discussions about gender. Last month I was emailed by a tax-payer funded civil servant at the Department for International Development looking for “high-profile male activists, journalists, writers, academics etc” who speak out on gender equality issues. It quickly transpired that she wasn’t interested in men like me who speak out about equality for men, she only wanted men who spoke out about equality for women. This is a depressingly common scenario in the world of “gender equality”. And so it was at this weekend’s Being A Man festival at the Southbank Centre (a venue which receives £17m a year of public funding). As the festival is the brainchild of a feminist woman, it was perhaps not surprising that the overall narrative of the weekend was “being a man is a problem so what are you going to do about it? (Oh and to save you using your stupid man brains to try and work it out yourselves, the answer is “Be A Feminist Man!”)”. At the end of three consecutive one-hour sessions I felt suffocated and oppressed. I love challenging my thinking and find that being pulled in many different directions expands my sense of self. Being pushed relentlessly in one familiar direction is depressingly dull. So I went outside for air and didn’t return. Having organized more conferences, meetings and gatherings about men and boys than I care to remember I have nothing but respect for anyone who takes on making such events happen. Jude Kelly, the artistic director of the Southbank Centre, deserves huge credit for the hard work and vision that goes into making an event like Being A Man happen (which in fairness contained far more content than the three hours I’ve just critiqued). Reading this comment reminded me of where I first saw Jude Kelly in action, which was in a debate she created for the Women of the World festival called “Misogyny & Misandry”. 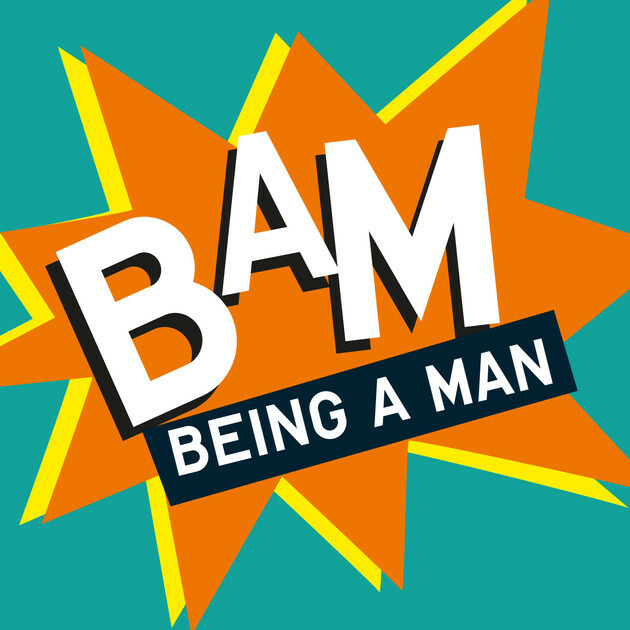 Like “Being A Man”, this debate was a great concept poorly executed. How wonderful it would have been to hear two experts who had experienced Misogyny and Misandry in discussion with each other sharing their lived experiences. What she gave us instead was a pointless conversation between a female feminist and a male feminist (Michael Kaufman) who both agreed that Misogyny is real and Misandry doesn’t exist. Ironically, Professor Damien Ridge at the Huffington Post, reported that the talks that he attended at Being A Man (which included a talk by Michael Kaufman) were mostly about men as a kind of “pathology” and asked if the bias towards negative coverage was “an example of a subtle misandry operating?” If only he had a time machine to travel back to Kelly and Kaufman’s Misogyny & Misandry love in to try and explain this subtle misandry to them. Back at “Being A Man”, Kelly highlighted how the Southbank Centre had an inclusive and progressive heritage that was born out of the Festival of Britain. She omitted to mention that Churchill described this festival as “three-dimensional Socialist propaganda”. If Being A Man was truly progressive and inclusive (as liberals and feminists so often claim to be) it would have had voices on the stage promoting non-feminist perspectives of gender; challenging misandry and sexism against men; questioning our ongoing support of unnecessary male circumcision; trying to make sense of our collective tolerance of violence against men and boys and so on. Like so much of our cultural discourse around gender, the programme seemed to be dictated almost entirely by the concerns of women, liberals and feminists. Of course these perspectives deserve to be heard but not at the cost of censoring, oppressing and excluding other voices. In terms of speakers, Being A Man did present us with an all-male choir, and she who paid the piper, clearly called their tune. To echo Churchill, the result wasn’t quite “three-dimensional feminist propaganda”, but it did seem like a one-dimensional offering of what liberal, female feminists and their supporters think men should speak about when thinking about “being a man”, or to be more accurate, when thinking about “being a feminist man”. One Daily Mail reader who attended claimed that “the day descended into farce when the festival organiser….mounted the stage to screech about the evils of white male dominance”. Another attendee said on the Year of the Male blog that he felt men were being encouraged to send themselves up “in exactly the same dismal way that black comedians used to have to send up black people by playing up to the stereotypes”. There were, by all accounts, some great soloists on display at the Being A Man festival. What men and boys need are more “conductors” with the awareness and ability to look beyond their own prejudice and ensure a far greater diversity of male voices are heard (and that includes the overwhelming majority of men who simply aren’t, and don’t have to be, feminists, in order to be interested in being a man). 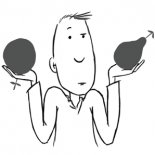 This entry was posted on March 3, 2014 by equality4menuk in #StopBlamingMen and tagged Being A Man Festival, feminism, Jude Kelly, Michael Kaufman, Professor Damien Ridge, Southbank Centre.